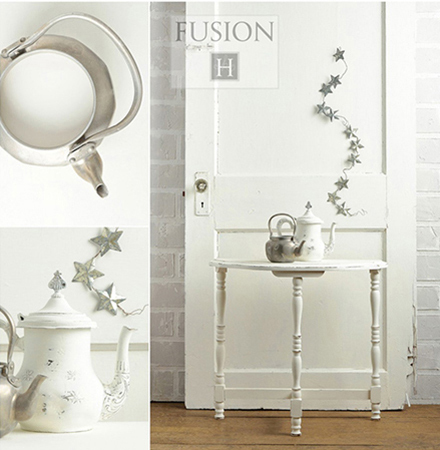 The brainchild of Homestead House in Canada (suppliers of Miss Mustard Seed's Milk Paint line), Fusion has taken over 10 years to develop, test and refine, and all their hard work has truly paid off.Fusion's results are nothing less than spectacular, providing furniture painters a best-in-class paint that features; an environmentally conscious formulation, low VOC's, superior durability, easy one-step application and significantly improved strength. 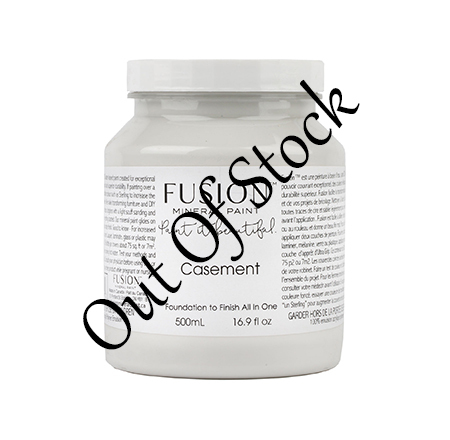 Delivering an exceptional matte finish, this 100% acrylic latex paint requires no priming, sanding or top coat! 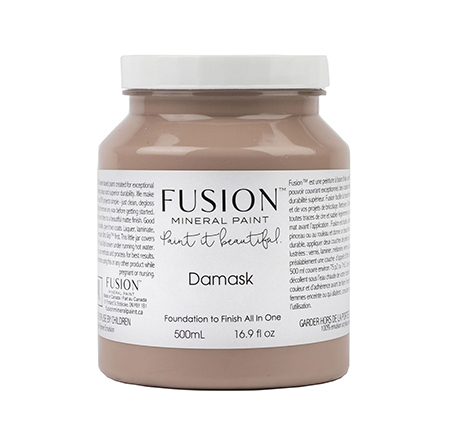 Application: Follow the directions carefully and Fusion can be applied to almost any previously painted or coated surface without priming or significant prep work. 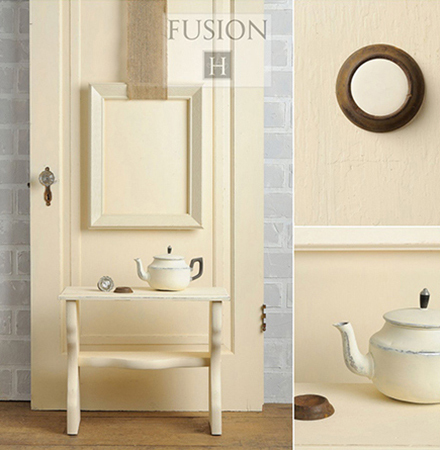 Durability: Once Fusion has cured, it yields a highly durable and a washable finish, with no need for a top coat. If you choose, you can of course achieve a beautiful lustre by adding a wax on top. 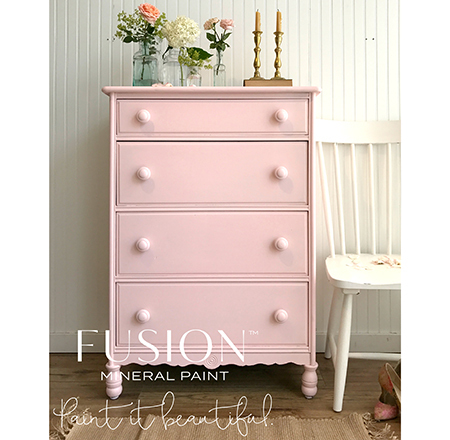 Fusion is dry to the touch after 2 hours and can accept a re-coat after 4 hours. Cure time with all acrylic paints is 21 days, however, painted surfaces can be used gently after 24 to 48 hours of drying time. 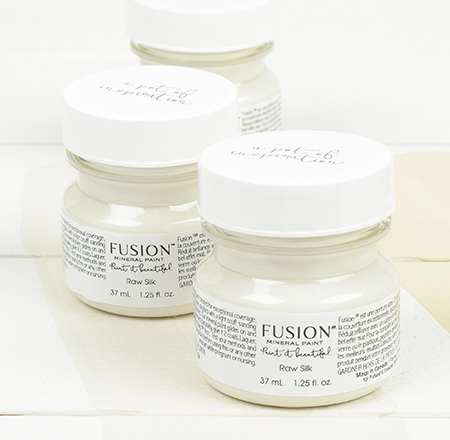 Sheen: Fusion is offered in a gorgeous matte finish. 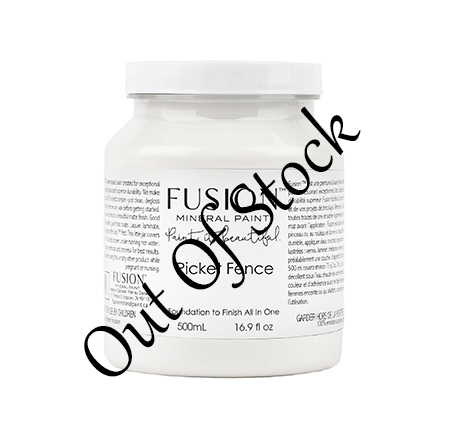 This means an almost zero reflectance value that allows you to achieve a beautiful smooth finish (similar to milk paint) with the added bonus of no mixing, no priming and, once again, no top coat required. That's right, this is a truly washable finish! Distress: Absolutely! 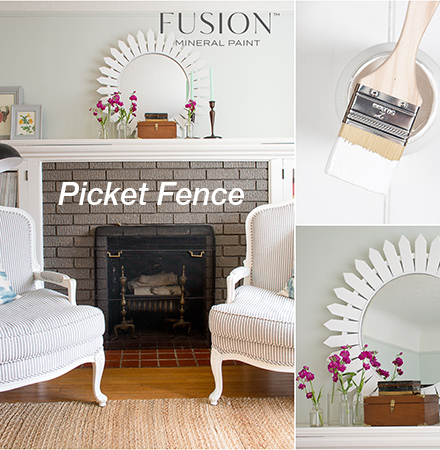 This paint is extremely easy to work with, though we recommend distressing soon after the paint has dried. It is very durable, so achieving the same result is tad more work after it has cured!Coverage: Excellent coverage! 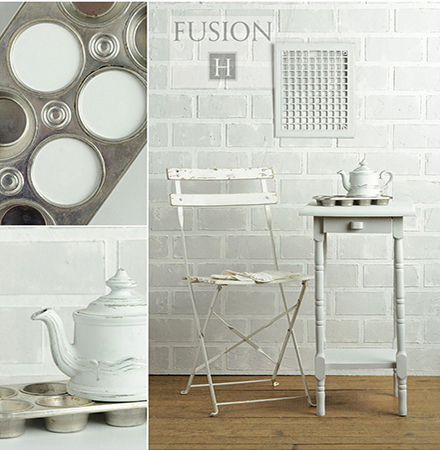 Fusion paint offers incredible coverage of 75 sq ft per 500ml. In most cases one coat is all you need! Coverage is outstanding! 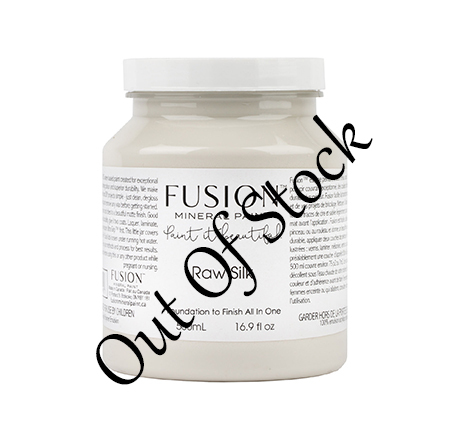 And because you can buy Fusion in 500ml pots, you have less wasteage and less opportunity to become bored with the one colour. Check out this colour range! However will you choose?